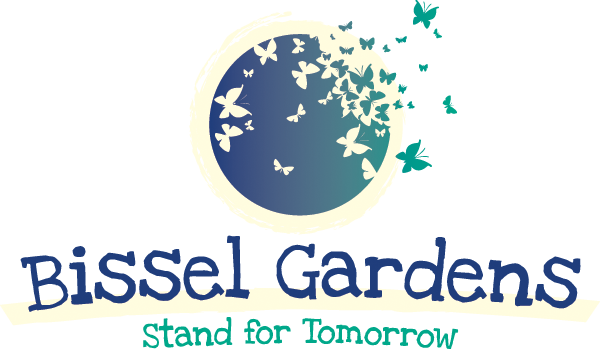 Bissel Gardens, the largest and one of the first Green Thumb community gardens in New York, is a green oasis for the North Bronx community and a welcome environment to many families and Veterans living in the area. Volunteers provide the backbone of service in developing greening or crop growing projects and maintaining the gardens, grounds and urban farming areas. Individuals and educational groups are welcome to join Bissel, NY Cares and NYBG to work on specific projects from the early spring days through the end of November. Master Composters, Gardeners, Pruners and specialists in urban farming, etc. can help train others in workshops set up at Bissel or assist schools and other community organizations in developing their own gardens or beautification programs. The 2.2 acres of gardens and four-block public path extending from Barnes to Baychester Avenues, located in the Wakefield section of the Bronx, had been abandoned, but in 1994 were reclaimed by residents for community gardening activities. Bissel became a green oasis for the community and a welcoming environment to many Veterans living in the area. Volunteers can become consultants, too; they frequently help provide training workshops or assist schools and other community organizations in developing their own gardens. From 2007-2010, Bissel members guided high school students to start and run a student farmers’ market in the Castle Hill area of the Bronx. In 2010, Bissel gave away 4,000 plants and trees to other community gardens, schools and organizations for beautifying open spaces. This began Bissel’s annual spring giveaway. For ten years, Bissel’s Food for Others garden produced and donated nearly 1,500 pounds of fresh produce to city hunger-relief organizations. And, on October 22nd, Assemblyman Jeffery Dinowitz, Senator Ruth Hassell-Thompson, Council Member Oliver G. Koppell and members of the Garden and community celebrated the opening of the renovated Children’s Garden honoring Bissel’s founder, Marie Teresa Scalera. February 24th, 2012 marked the beginning of Bissel’s American Veterans Training Program. Veterans living in the area are encouraged to take training workshops in the spring to learn how to best use their exceptional skills in the propagation of plants and trees and to cultivate crops. Additionally, Bissel is known for educating and serving the youth through its Summer Youth Employment Program (SYEP), a 6 week immersion program in environmental studies and urban farming. In this endeavor, Bissel partners inlude Just Foods, Montefiore Community Center, and NY Botanical Gardens. Applications for SYEP are available through the Department of Youth and Community Development website.